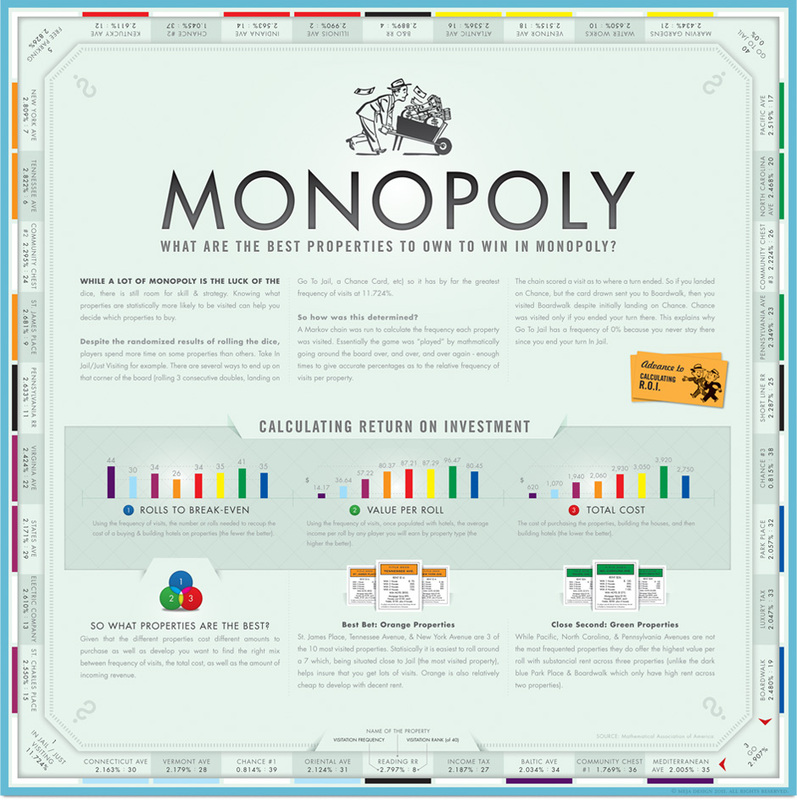 Understanding which properties are the most profitable. While a lot of Monopoly is the luck of the dice, there is still room for skill & strategy. Knowing what properties are statistically more likely to be visited can help you decide which properties to buy. Using data from the Mathematical Association of America this chart takes a trip around the board figuring out the percentages of visitation per property. It then factors in the property costs, the incoming rent, and establishes what color properties are best (Spoiler Alert: it's Orange). Copyright 2019 MejaDesign. All Rights Reserved.